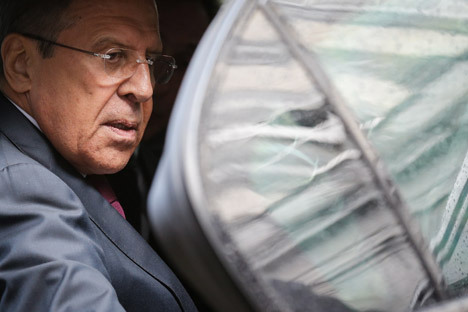 Russian Foreign Minister Sergei Lavrov: "The ceasefire has not time framework." Russian Foreign Minister Sergei Lavrov has stressed that ceasefire in Syria is open-ended and it has no preconditions. "Ceasefire that the UN Security Council approved on the basis of the joint Russian-U.S. imitative following the agreement between [Russian President Vladimir] Putin and [U.S. President Barack] Obama is open-ended," Lavrov told journalists in Paris. "The ceasefire has not time framework," he said. "There can be no time restrictions, and secondly there can be no linkages to anything," he said. "The ceasefire, deliveries of humanitarian aid and the promotion of political process that should encompass all Syrian sides  should be go hand-in-hand. There exist no preliminary linkages," Lavrov said. "There are no preconditions and can be none," he stressed.